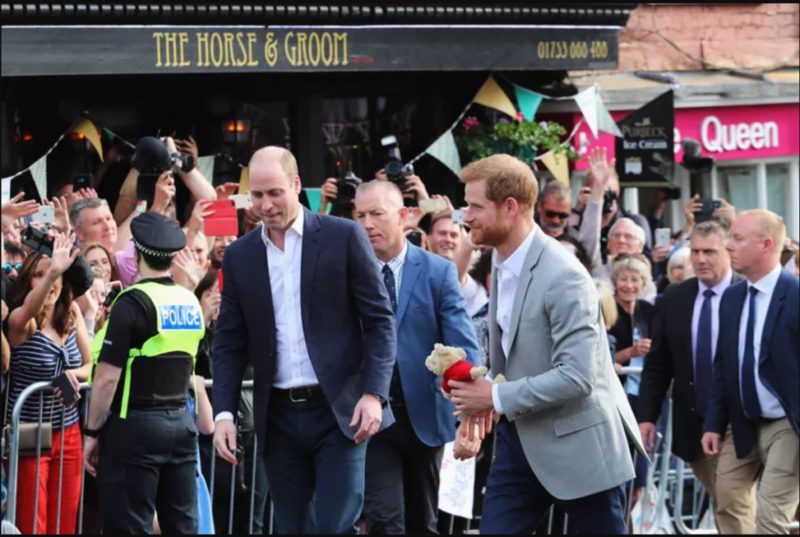 (London) – Prince Harry was greeted with shouts of “good luck!” from well-wishers as he carried out a surprise walkabout in Windsor on the eve of his wedding. With his brother and best man Prince William, he spent nearly 10 minutes chatting to the crowds. Meanwhile, Meghan Markle and her mother, Doria Ragland, arrived at nearby Cliveden House Hotel. As she arrived at the hotel following tea with the Queen, Ms Markle said she was feeling “wonderful” on the eve of her wedding. During his walkabout, Prince Harry asked people where they were from, and whether they had been waiting long. He was also given a small teddy bear as a gift. Earlier, Kensington Palace said Prince Charles will walk Ms Markle down the aisle on Saturday.